When you hear people talking about energy efficiency, it’s usually in regards to ways that people can improve the efficiency of their home. While this is the case, more often than not, there are plenty of ways that you can make sure that your commercial space is just as efficient. At Valley Mechanical Corporation, we have plenty of experience with improving the efficiency of office spaces. As your commercial HVAC professional, we wanted to make sure that the commercial spaces we are serving have all of the tools that they need to keep energy bills low and office spaces comfortable. 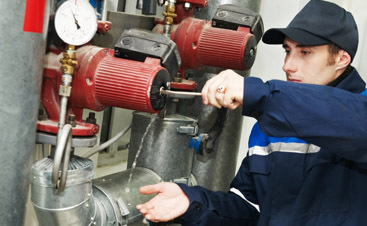 Here are some of the places you can start when looking to improve efficiency. One of the best ways to save energy is to completely shut off equipment, but if your commercial space runs off of tons of electronic devices, make sure that you switch to sleep mode to make the most of the energy that you’re using. For the most part, electronic devices like computers, laptops, printers and scanners all have sleep modes that you can put them on to save energy. This can also happen when these machines have been idle for a certain amount of minutes. It seems like such a small thing, but having machinery set to a sleep mode can help you save on your electric bill. This tiny motion can save up to 70 percent more energy than letting them run constantly. If your commercial building has things like refrigerators, coffee makers or water coolers that you have for your employees, there are often settings that you have that can turn them off and on as you need them. When you do this, you aren’t using energy to power a machine that isn’t going to be used all night, which also saves you a ton of energy even if these machines are sitting idle. A timed thermostat can provide you with the same results that having a timer on these different machines on timers can lower your electric bill. This is an easy addition to make to any office space to help ensure that your office is always comfortable but isn’t wasting energy in the night when no one is there. This is also a great way to make sure that people aren’t playing around with the thermostat throughout the office. These are one of the best additions that you can make to a commercial space and will truly provide you tons of savings on your energy bill. 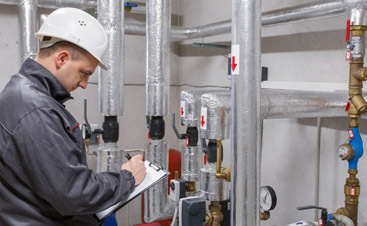 If it comes down to it, and you are still looking for ways to minimize energy usage in your commercial building, the team at Valley Mechanical Corporate can continue to maintenance your HVAC system to ensure that your unit is working as intended and that there aren’t any things that could improve the functionality or efficiency of your HVAC machinery. 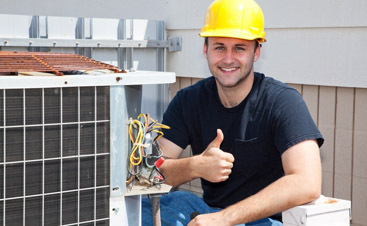 Call our office in San Jose today and schedule your HVAC maintenance, repair or installation with our team today.